The announcement, made today by the A-10, solidifies the championship sites through 2021. The championship will continue to be held at Barclays Center in Brooklyn through 2016, then will move to the steel city in 2017, and to the nation’s capital in 2018 before returning to Barclays Center for three additional years through 2021. Pittsburgh previously hosted the A-10 championship for five years, from 1978-1982. CONSOL Energy Center, which seats 19,100 for basketball, was opened in 2010 and hosts regular season men’s basketball, including the popular “City Game” between Duquesne and Pitt. The home of the NHL’s Pittsburgh Penguins, CONSOL Energy Center also hosted the 2012 NCAA Second and Third Rounds and will host those same rounds in March of 2015. The 2018 event will mark the first time Washington, D.C. will host the A-10 championship. The home arena for the NBA’s Washington Wizards, the NHL’s Washington Capitals and the WNBA’s Washington Mystics, Verizon Center opened in 1997 and hosts on average 220 events per year. Verizon Center also has hosted a number of regular-season men’s college basketball events and tournaments, including six NCAA Men’s Basketball Championship events, two of which were regional rounds. Richmond participated in the first NCAA Tournament in the arena that is now the Verizon Center. In 1998, the Spiders defeated South Carolina, 62-61, in the first round of the Big Dance in what was then known as the MCI Center. Washington, D.C., is the eighth largest media market in the country and Pittsburgh, Pa., ranks 23rd nationally. Atlantic 10 institutions reside in states that comprise 33.3 million television viewers, 28.8 percent of the total national market. There are eight A-10 institutions in the top 25 media markets in the country. National television coverage for the 2017 and 2018 Championships will be distributed by ESPN, CBS Sports and NBCSN. 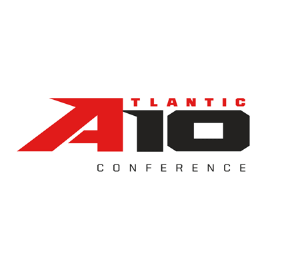 The Atlantic 10 is coming off its most successful men’s basketball season ever, with six teams having earned an NCAA Tournament bid. Each of those teams finished with 24 or more wins, making the A-10 the only league with six 24-win teams in 2013-14. Dayton advanced to the Elite Eight, the seventh straight year the conference has had a team reach the NCAA Regionals. The league also won 71 percent of its non-conference games which led to seven A-10 teams receiving votes or earning a ranking in the national polls, and nine teams finishing in the top 100 of the RPI.